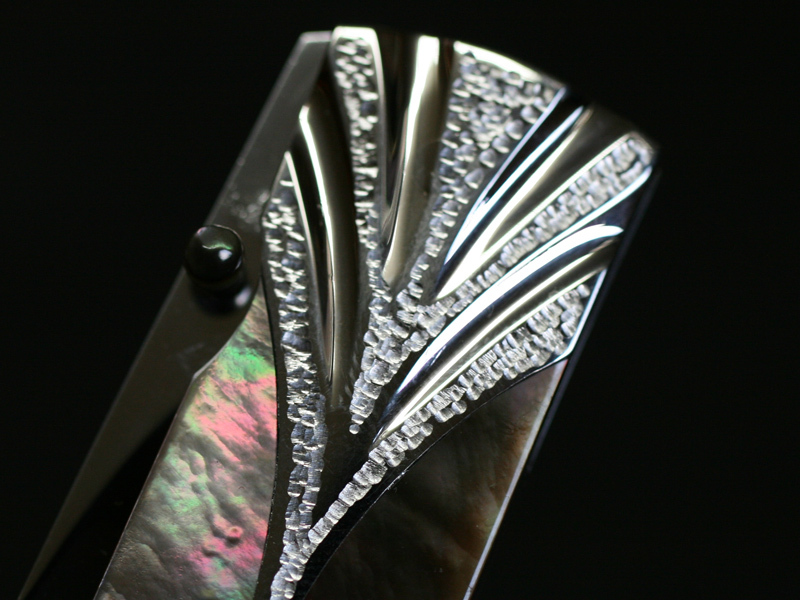 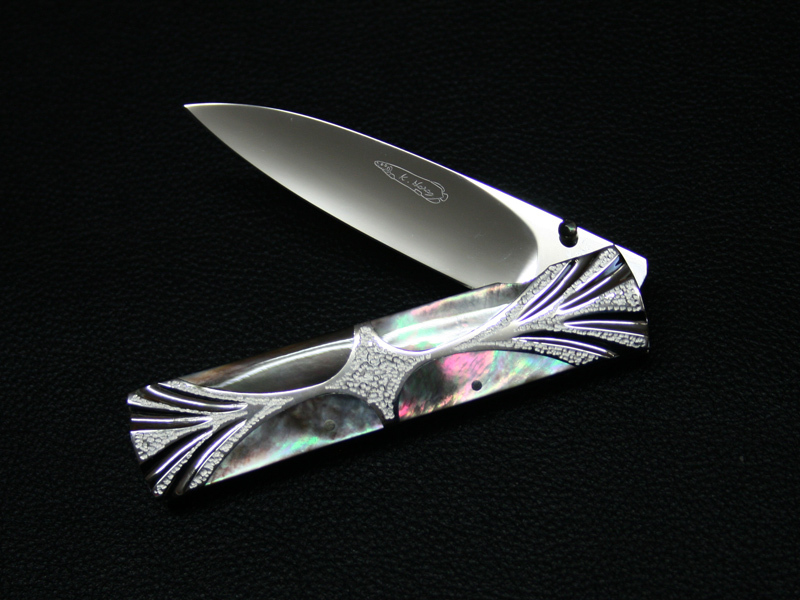 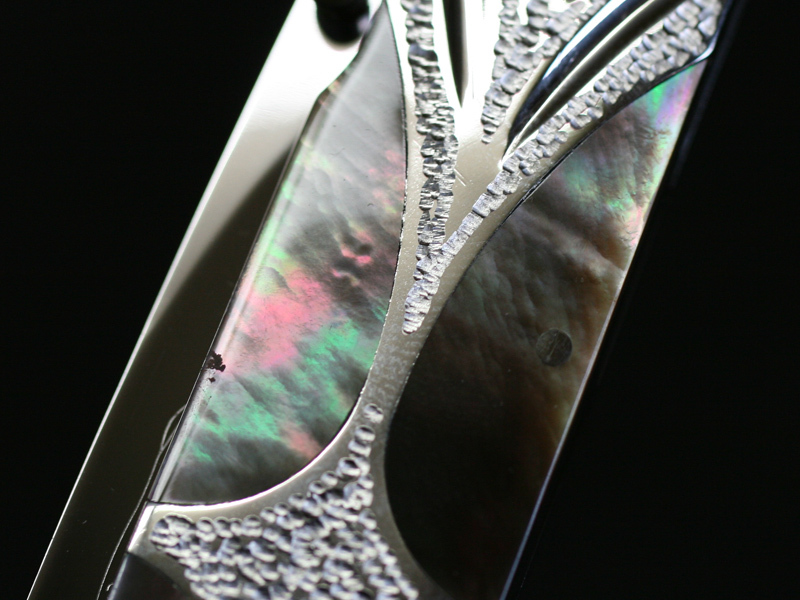 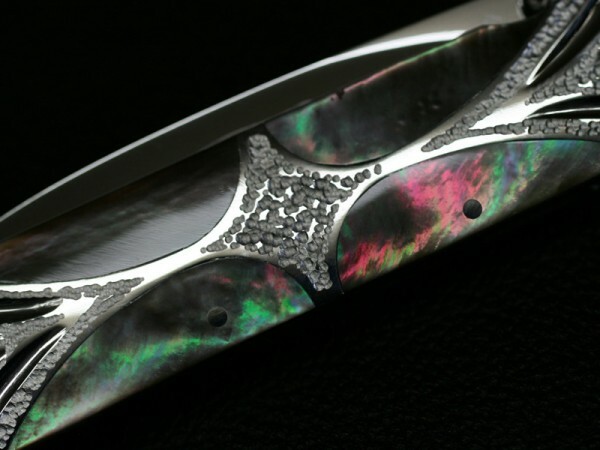 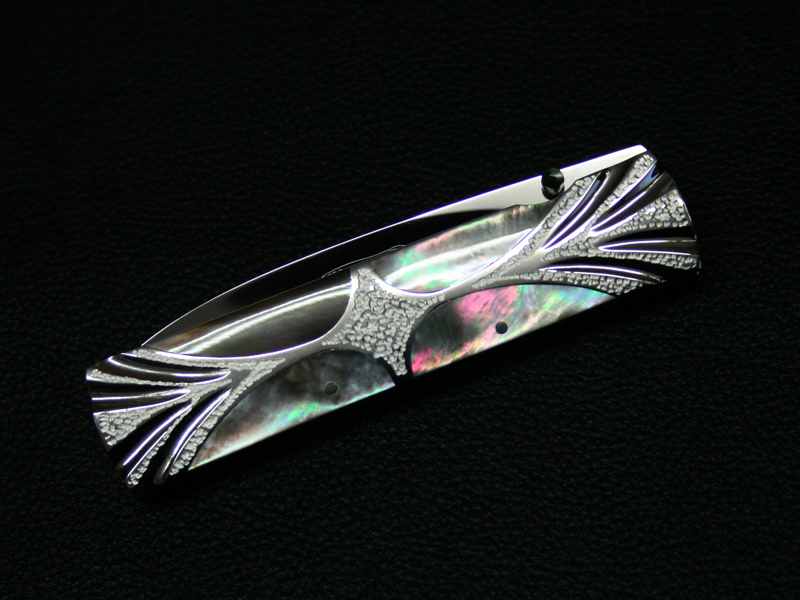 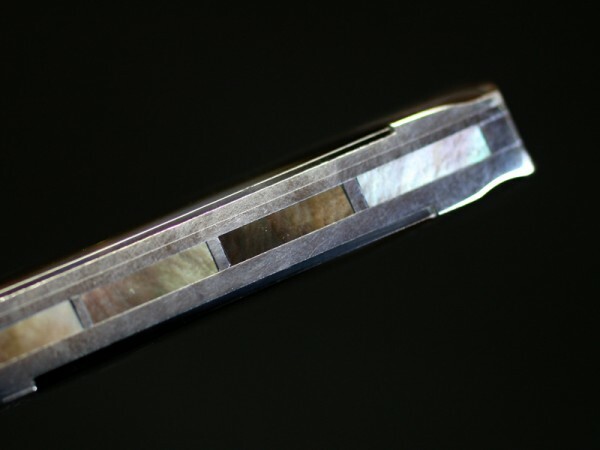 This liner-lock folder by Koji Hara features a High mirror polished Cowry-Y powdered steel blade and hammered finish and carved fluting stainless steel with Black Lip Mother of Pearl inlyaed. Black lip mother of pearl inlayed thumb stud. 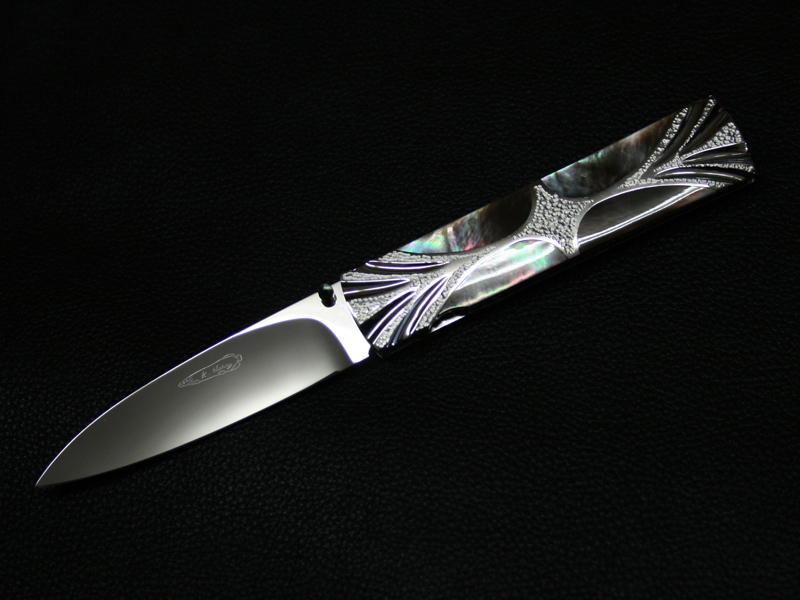 The knife comes with Japanese Kimono cloth pouch.